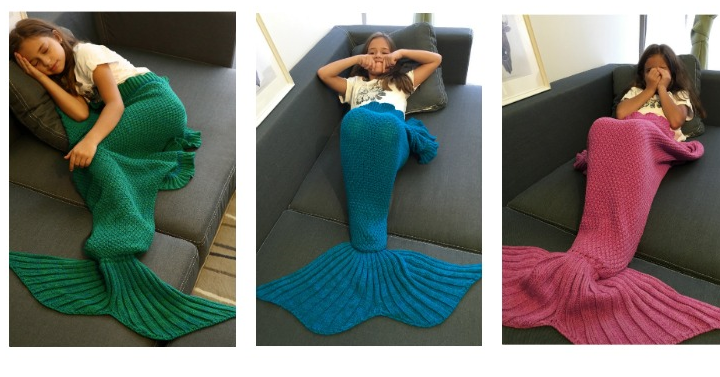 If you are still looking for a mermaid tail blanket, look no further! Sammy dress has the Knitted Mermaid Tail Blankets for only $6.70 shipped when you use coupon code CRAZYSD05 at checkout! There are 6 different colors to choose from. These would be so nice to have during these cold winter months.